Champagne + Cake + Glitter | 30th Birthday Cake Smash! I met up with Shawna at Jungle Gardens a few weeks before her wedding. We had to reschedule a couple of times due to rainy weather, but we were extremely lucky that the weather was nice on the afternoon of her bridal session. We drove around the Island and made our way through the beautiful gardens dodging alligators, ditches, a raccoon and even deer! Yes...in that order! It was amazing! Shawna was absolutely beautiful in her vintage style lace gown. Her bouquet, made of handmade silk and sheet music flowers was simply amazing! I couldn't' get over how gorgeous it was! The perfect compliment to her dress! And I do need to add that this girl rocks stilettos like no other! She stomped through the soggy grass and down the uneven pathways better than me and I was in flat sandals! 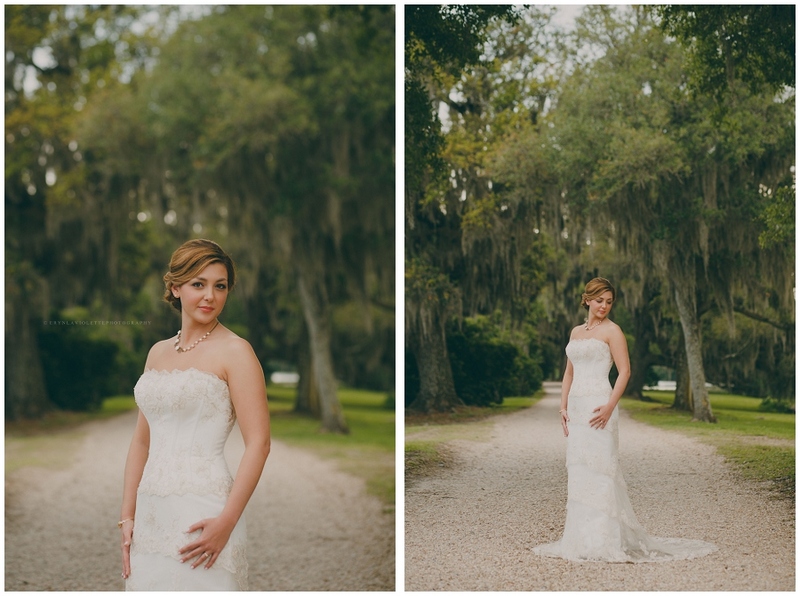 Enjoy a few of my favorites from her bridal session below, and be sure to check back in the next few days for a special blog post with favorites from her spectacular New Orleans wedding!